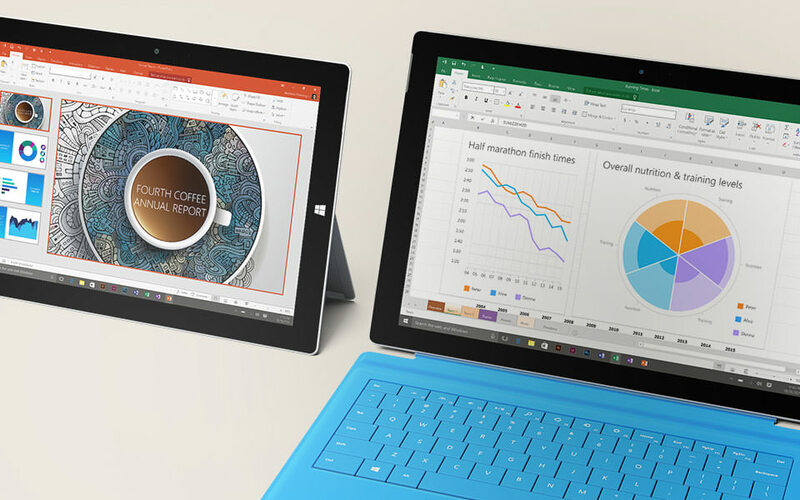 the Surface Pro 4 will actually seem like holding a sheet of paper in your hands. Within a snap and a few folds, the tablet can be turned into a laptop with improved keyboard and even a multi position kickstand. Running on Windows 10, Surface Pro 4 works both as a tablet and a laptop and with the capabilities of running all common desktop software. The 12.3” screen is powered by PixelSense™ technology that ensures low glare and high contrasts – offering a quality that can easily rival real life! The Surface Pro 4 from Microsoft weighs just about 766 grams (1.69 lbs) and is the lightest book you would have used. With the multi-position kickstand and an improved Type Cover1, it transforms into a fully functioning laptop running desktop software. the Surface Pro 4 can easily turn into your mobile work station. Multi-programming is enabled by Intel® Core™ processing. 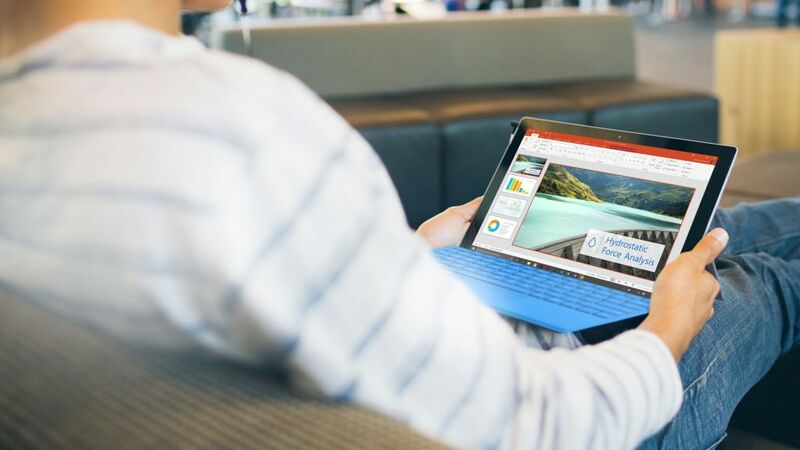 The battery for the Surface Pro 4 can last all day, ensuring an uninterrupted work. A 5 MP front camera is complimented by 8 MP auto focusing rear to take high quality photos and enable the best quality of video streaming. Write directly on webpages with Surface Pen in the all-new Microsoft Edge browser and share yournotes easily. Click and hold the top of Surface Pen to activate Cortana 4, your truly personal digital assistant. Click and hold the top of Surface Pen to activate Cortana 4 – your truly personal digital assistant. Log in with a smile. With Windows Hello3, your Surface Pro 4 will know you’re you. You’ll love these security features and the convenience that comes with them. Ariela Suster uses Surface Pro 4 to help empower El Salvadorean teenagers. 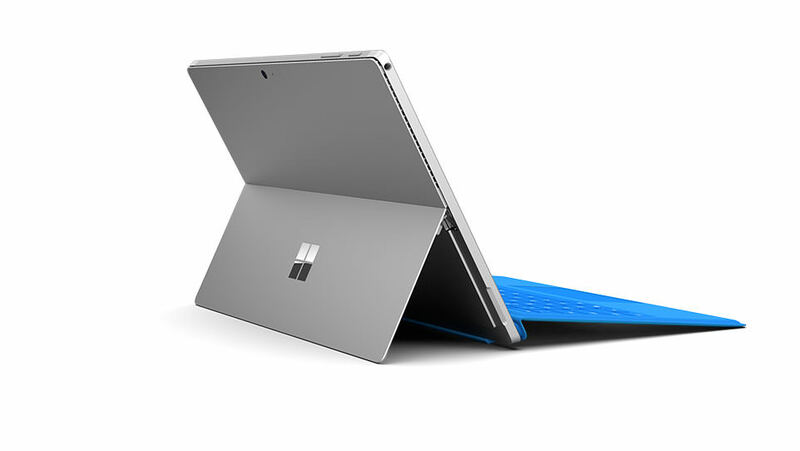 The Surface Pro 4 Type Cover folds up or detaches so that you can use it anywhere. With the full power of a laptop, you can run all of your desktop software. On a plane, on your lap, or dock it at your desk to turn it into a desktop PC. With technologies like Cortana, Surface Pen and Palm Block, this is the most powerful laptop technology we have had in a while. This is a device for all kinds of professionals, ranging from executives to creative designers.